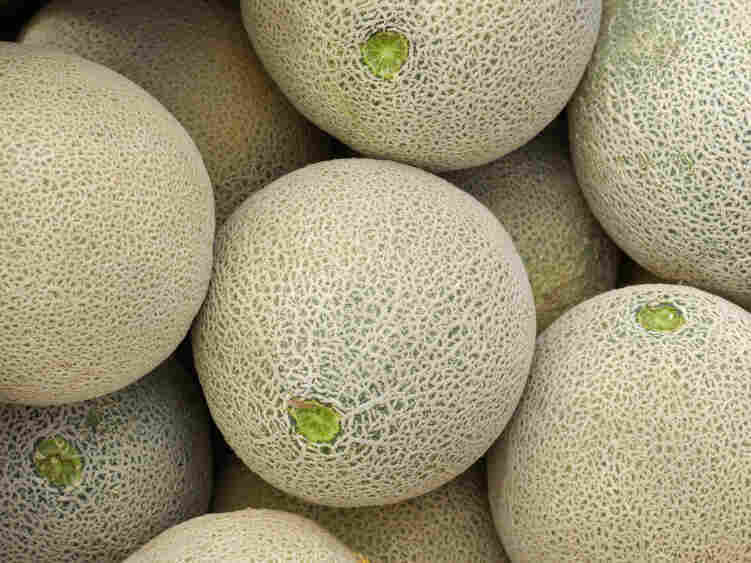 An Outbreak Of Listeriosis Has Been Linked To Cantaloupes : Shots - Health News An outbreak of listeriosis linked to cantaloupes has led to the deaths of four people. Most of the cases have occurred in Colorado and New Mexico. Have you ever heeded the advice to wash and dry a melon before digging in? Does anyone actually eat the skin of a honeydew or a cantaloupe anyway? Well, even if you're not planning on a mega-dose of fibrous skin and rind, there is a good reason to rinse off that melon: germs. The knife that cuts through the melon's tough exterior can transfer nasty bugs to the sweet flesh you do consume. That's why the Centers for Disease Control and Prevention and other public health agencies are reminding people to wash produce, including cantaloupes, amid an investigation into an outbreak of listeriosis reported in a half-dozen states that so far has been linked to the deaths of four people. Interviews with people who got sick "strongly suggest that illnesses are linked to consumption of cantaloupes," the CDC said. Most of the cases have occurred in Colorado and New Mexico. Although washing and drying produce is a good practice, it does not reduce the chance of listeriosis for those who are at high risk. If you are at high risk for listeriosis, do not eat Rocky Ford cantaloupe. Who's at risk? Pregnant women, newborns, people with weak immune systems, including those with AIDS. The elderly are also at greater risk. For help with washing technique, check out this handy NPR guide from few years back. The experts and a mom give their two cents.